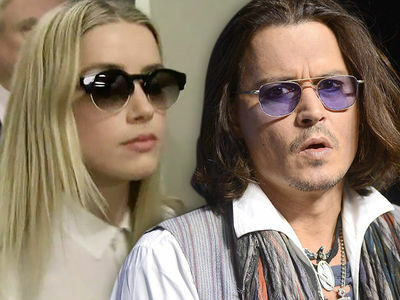 Johnny Depp is scoffing at Amber Heard's attempt to get more from him than they agreed in their divorce settlement, and he's telling the judge she just wants to stay relevant and sway public opinion. Johnny filed legal docs saying a deal is a deal, and they already agreed on the $7 million settlement months ago. Amber recently filed legal docs asking for more, but Johnny says that ship has sailed. Johnny's lawyer, Laura Wasser, says Amber's move is "a blatant attempt to extend her fifteen minutes of fame" and "an embarrassing grab for additional and unwarranted attorney's fees." Amber is also asking to reopen the $7 million settlement.